Hey Dude! Where’s Your Backpack? Could this person be a person of interest? 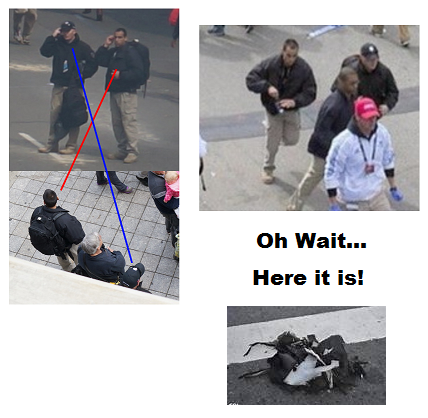 Military Men Witnessed At Boston Bombing Identified As National Guard CST Teams… Or the 24th National Guard Weapons of Mass Destruction-Civil Support Team. This entry was posted in News Flash and tagged Backpack, Bomb, Boston. Bookmark the permalink.